Please let me know of any other languages. 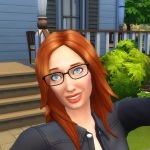 I don't participate in any other forum, but doing a quick search on Google couldn't find a Spanish forum like this one but I did find a thread dedicated to Los Sims Gratuito in a forum. Maybe you can give it a try just searching "Los Sims Gratuito foro" and you'll find it.